It is my great pleasure as president of the BSC, to welcome you to the 38th Annual Congress of the Belgian Society of Cardiology. Cardiology is pre-eminently a discipline with ongoing scientific and technological discoveries resulting in new diagnostic and therapeutic paradigms, which need to be implemented in daily practice. In addition, our way of working will undergo profound changes in view of the pending legislation on hospital networking. The congress programme will cover all different aspects of modern cardiology and we aim to increase the interactivity between the audience and the experts. Dedicated BSC Working Group sessions, with best abstract presentations highlighting new information of the different cardiac subspecialities. The ESC-BSC joint session will not only present but also challenge the new guidelines on myocardial revascularisation. 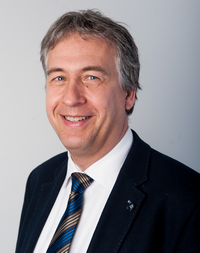 The keynote lecture on Thursday will put the Belgian clinical practice into perspective of the European cardiological practice (ATLAS, Prof Gale, UK). Socio-economical sessions will cover organizational and economic aspects of the cardiology profession. Laureate lectures and awards ceremony; Best Poster, Young Investigator, Jacqueline Bernheim prize, two Belgian Heart Foundation research prizes. The “Clash of the Titans”, will be a lively knowledge competition between teams and the audience. The BSC congress is “the place to be” on 7th and 8th February 2019!